Gingivitis sounds scary, but it is actually one of the most common dental conditions among children and adults! Unless you’re actively looking for signs of gingivitis, most of the time gum disease will go unnoticed until seen by a dental professional, because the symptoms are so mild. However, just because the symptoms aren’t painful doesn’t mean that gingivitis should go untreated. When ignored, gingivitis can worsen into later stages of gum disease, including Periodontitis and Advanced Periodontitis. Treating gingivitis early on will prevent these later stages that can often cause loose and damaged teeth. So, how you do you know if you have gingivitis? The best method for determining if you have the early stages of gum disease is by scheduling and attending your regular 6-month checkups. During your visit, your dentist will be able to alert you at the first signs of gingivitis! You can also look for signs and symptoms on your own, including red, tender gums that bleed when you brush your teeth, consistent bad breath, and receding gum lines. If you notice any of these signs, it’s time to schedule a visit. Review the proper brushing techniques and make sure you apply them – every single time! It is a good idea to invest in an electric toothbrush for a more detailed cleaning. Don’t forget to floss! Flossing is essential for getting rid of plaque in hard-to-reach areas. Rinse with an anti-bacterial mouthwash for a complete, thorough routine. 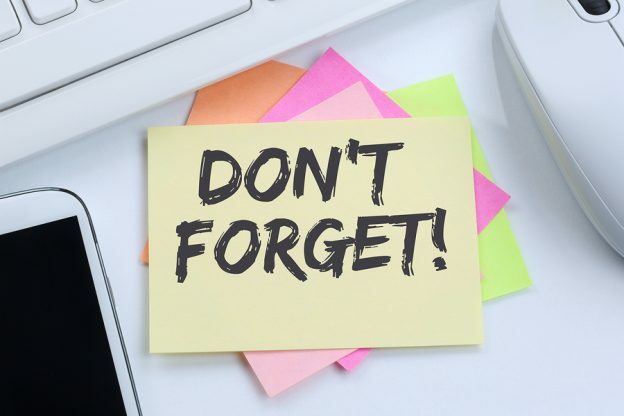 If you are concerned you may have gingivitis or need to schedule your routine checkup, give us a call at (757) 609-3510 or fill out our online form to schedule an appointment. This entry was posted in Dental Care Tips, Preventive Care on March 14, 2018 by Vacendak Dentistry. Fear of the dentist, technically known as odontophobia or dentophobia, is one of the most common fears of people of all ages. Just the thought of walking in the door of the dental office is enough to make some quake in their boots. Whether they’ve had a bad experience in the past, apprehension about the “drill,” or another root cause, fear of the dentist can make taking good care of teeth much more difficult. A new study from the Kings College of London Dental Institute found that people with dental anxiety are more likely to experience tooth decay, cavities, and tooth loss. 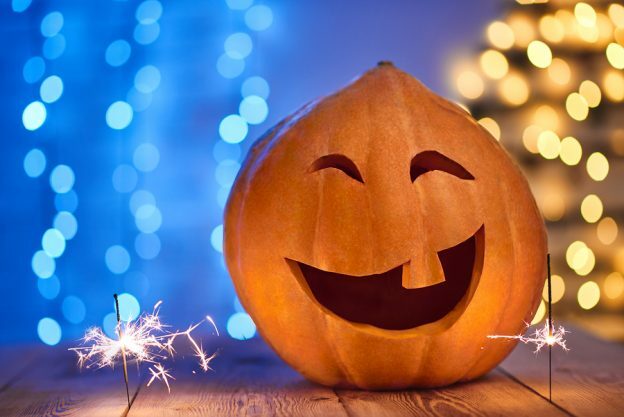 This doesn’t come as too much of a surprise, as dental phobia sometimes influences its sufferers to skip routine dental appointments or choose short-term solutions (tooth extraction) over more invasive long-term solutions (tooth restoration over several visits). If you are scared of the dentist, you’re not alone. There are plenty of ways to overcome the fear, whether through therapy, bringing a loved one to the office with you, or by coming in to talk to a new dentist before your first appointment. At Vacendak Dentistry, we make every effort to put our patients at ease. Our comfortable exam rooms, peaceful environment, and friendly, knowledgeable staff, can make the whole experience much more pleasant. Routine dental appointments are generally painless and prevent more painful procedures in the future! Call our Chesapeake office today at (757) 609-3510 to schedule a dental visit or to learn more about our practice. This entry was posted in Preventive Care and tagged dental anxiety on April 30, 2017 by Vacendak Dentistry. Habitual ice chewing is fairly common. Many people use it as a method to alleviate dry-mouth and curb snacking. While this behavior may seem harmless (and rather refreshing! 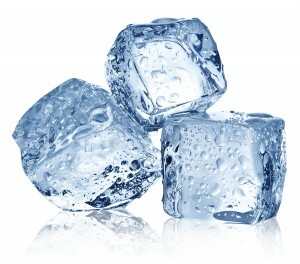 ), the truth is that chewing on ice can wreak havoc on your teeth. Here’s how. Broken teeth. Ice may just be frozen water, but unlike water, it is not good for the enamel of your teeth. You wouldn’t nibble on rocks because you know that doing so would definitely cause damage? Ice can have the same effect! Damaged fillings. Repetitively chewing on ice creates a “hot-cold” pattern in the mouth that causes the enamel to expand and contract. This is risky business when you have fillings, because they tend to expand more quickly than teeth. Injured gums. Ice can be sharp and tiny shards puncture gums, causing pain and vulnerability to gum disease. Tooth sensitivity. As ice breaks down the enamel and dentin of the tooth, a person will experience increased sensitivity to very hot and very cold foods and drinks. Do you have an inexplicable urge to chew on ice? Contact a doctor and/or a mental health professional to address the source of the problem. Medical attention will preserve the health of your body and your mouth! If you chew on ice and are experiencing any of the aforementioned ill-effects (broken teeth, painful gums, sensitive teeth or damaged fillings), contact Vacendak Dentistry. We can help reverse the effects, soothe pain and put you on the path to better oral health. Call us today at (757) 609-3510 to schedule an appointment. This entry was posted in General Dentistry, Preventive Care on November 3, 2015 by Vacendak Dentistry. We are all aware of the health benefits of drinking plenty of water—better digestion, clearer skin and weight management number among them. But did you know that drinking lots of water also improves oral health? Here’s how. By lubricating the mouth and supporting the flow of saliva, proper hydration helps control the balance of bacteria in the mouth. It also loosens layers of plaque between brushing and flossing. It may seem obvious, but the first course of treatment dry mouth is to make sure that you are drinking enough water. If that doesn’t fix the problem over time, these other oral health issues may be underlying causes. All water is not created equal. This is especially true when it comes to the health of teeth and gums. Bottled and certain types of filtered water don’t contain the fluoride necessary to fortify tooth enamel against harmful bacteria and plaque buildup. Drinking enough fluoridated water is particularly essential for young children. According to the CDC, “Fluoride works by stopping or even reversing the tooth decay process—it keeps tooth enamel strong and solid. Tooth decay is caused by certain bacteria in the mouth. When a person eats sugar and other refined carbohydrates, these bacteria produce acid that removes minerals from the surface of the tooth. Fluoride helps to remineralize tooth surfaces and prevents cavities from forming.” The CDC website states that addition of fluoride to community water sources (tap water), also known as community fluoridation, has correlated with a dramatic decline in tooth decay over the past 70 years. While the reduction in overall tooth decay is also associated with better understanding of good oral hygiene habits, there is evidence that people who drink too much unfluoridated water are more susceptible to decay and cavities. How can you make sure that the water your family consumes contains the dentist-recommended level of fluoride (at least 0.7 mmL)? The easiest way is to drink tap water instead of bottled or filtered water, as the EPA requires water to be fortified with fluoride. Concerned about other chemicals in the tap water? Check your city’s water quality report online. Chesapeake’s 2014 water quality report is available here. While water isn’t the only source of fluoride (mouthwashes, rinses and toothpaste also contain it), it is the most effective and healthful way to make sure your teeth are protected. 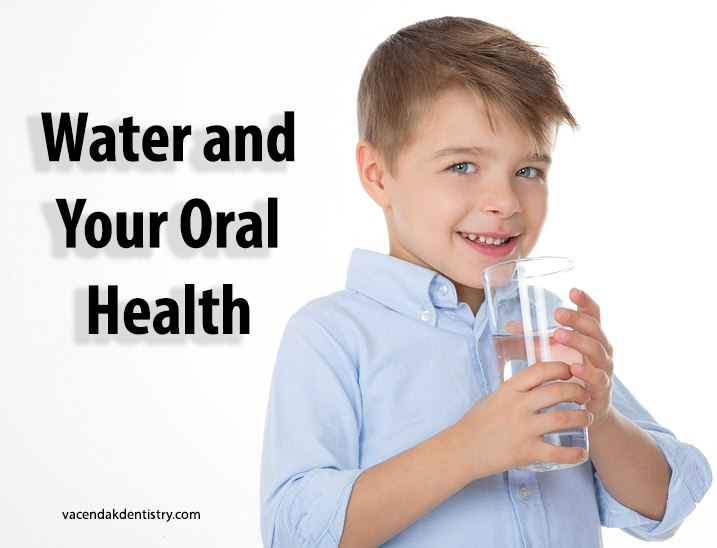 How Much Water Should I Drink for Healthy Teeth and a Healthy Body? Eight glasses of water day is the commonly accepted hydration standard, but it may not be the answer for everyone. Talk to your primary care physician for a personalized answer. At Vacendak Dentistry, we’re firm believers that the health of the mouth contributes to the health of the whole body. Call us today at (757) 609-3510 to request a dental appointment. We accept nearly all insurance plans. This entry was posted in Dental Care Tips, Preventive Care and tagged dry mouth, fluoride, oral health on September 14, 2015 by Vacendak Dentistry.